Welcome back, clones! This is the beginning of the weekly newsletter! With the new year coming around it’s important for you to keep up-to-date with all the latest news from within your community. We’re dedicated to finding the trending topics and upcoming events that are planned within the 501st and keeping tabs on everything that you need. Keep coming to the website to check all the latest articles and posts that affect the ever-changing unit. Winter stand-down is officially coming to a close and the battalion is returning to full combat strength. With this metabolism comes great change, operations are running larger and larger thanks to the server box moving to a data center, which is currently going through testing right now. This could not have been done without the generous donations and support that the community has given to the unit along the time and dedication of all the members. The unit has come further and further from the original vision, which has expanded beyond the horizon to unimaginable heights and will continue to grow into a truly unique experience that can't be found anywhere else. 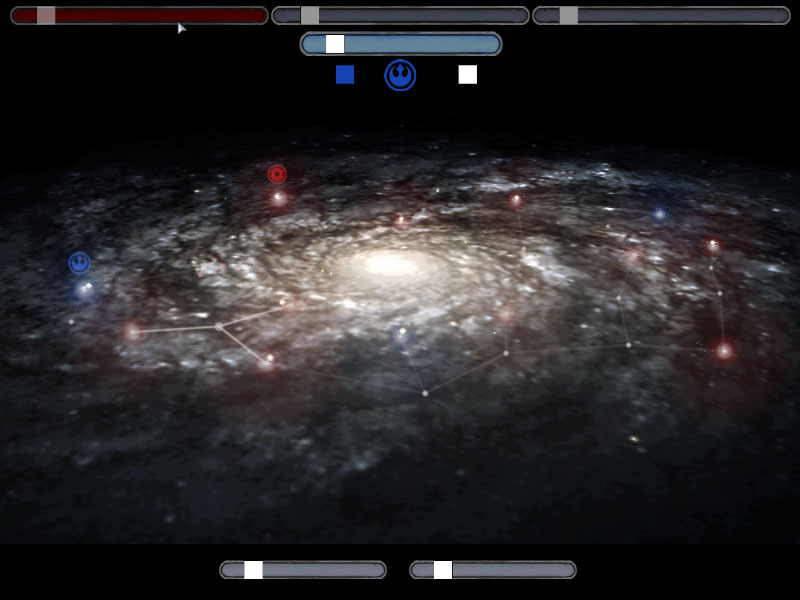 Official work has started on the Galactic Campaign, which is similar to Pandemic’s Star Wars: Battlefront II Galactic Conquest gamemode, featuring space and interplanetary battles and a player-driven sustained logistic management system that will keep track of progress and losses as the 501st carries its battles across the galaxy. A full fledged star map of the galaxy is being constructed to give tension and stakes to the player-made campaigns of the future with real consequences for those who fight. The Clone Wars Mod is currently in its Alpha stages of development and available for public testing on the Steam Workshop. Already featured on the most popular mods page, the Clone Wars Mod team is working diligently on the future versions of the mod. They count on your support to keep them going as this is a non-profit project made by Clone Wars fans for pure entertainment. 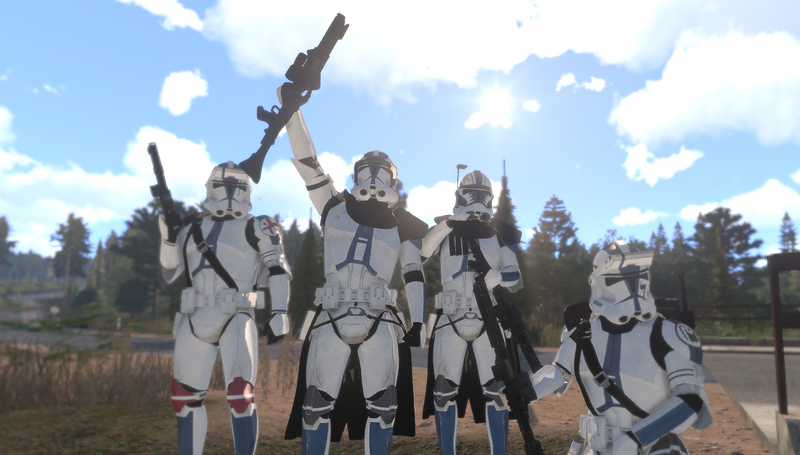 To keep better assets and gameplay experiences coming, the Clone Wars team appreciates any help it can receive and has worked with many prominent members from all around the gaming and modding communities. As progress grows, so does the scope, width, and depth of the experience, rivaling that of even some of the most expensive contemporary AAA titles that share the Star Wars name. 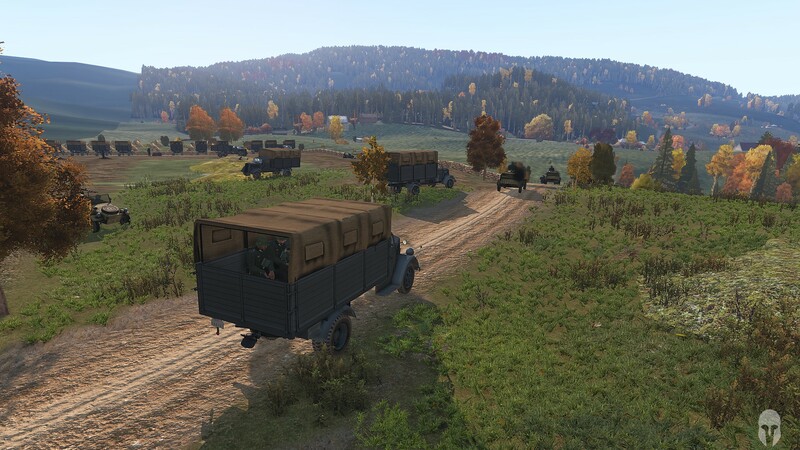 Alternative military operations have always been a popular attraction for certain members within the unit. Recently we’ve been graced by some notable campaigns, including two notable World War II campaigns hosted by CW Lindsey and CP Tyler. For Clone Wars campaigns, several are still ongoing and hosted by a single zeus who want to cover entire islands over the course of multiple individual missions, one of which is CS Crisis’s Altis campaign that has been ongoing for the course of SEVEN months and still the fight is not over. Dates and times are often posted for these events and more information can be found on the Legion discord. Zeta company officially started as of November 24th. This company will help find time for people to enjoy the unit without being overly active. Captain Klein and First Lieutenant Machete came up with an organization of reserves that serves as a stepping stone to bolster the ranks for everyone. It serves as a global check-in for all new and returning members, where one is assigned a squad with a goal to play one Zeta operation to serve as a quality check. The total capacity is 16 squads of 11 people, currently sitting at 12 filled squads. The creation of Zeta serves multiple roles, including that of a training and penal company. Training includes the current cadet corps to assign people, but also corrects behavior of troops who may need a reminder. Ultimately, Zeta will serve the Republic and those who also want to, but otherwise couldn’t. Currently headed by CS Verax, Zeta promises a future in the Legion for all those willing. Keep checking in here for more news on what’s happening in the 501st Legion. After a long winter, it’s time to charge your blaster packs and load that tibanna gas. There’s still plenty of new droids to destroy and another year awaits the 501st in it’s long march to victory. You can help your buddies dig trenches with ACE interactions! 501st News opinion doesn’t necessarily reflect the opinion of the entire community. If you’d like to help, by signing up for the news team, submitting an article or posting a piece of media, please, contact CT Sideways, CI-C Daedalus or any other member of the News team. Your voice matters, let it be heard. Also please consider donating to the 501st to help pay for server costs, keep this community alive and well maintained. Photo credits: CX-W Flog, Star Wars: Battlefront 2 (EA 2005), CP Tyler and CS Legia.